The district attorney’s offices in San Francisco and Los Angeles have filed consumer protection and unlawful business lawsuits against Uber, while announcing a settlement on similar charges with Lyft. 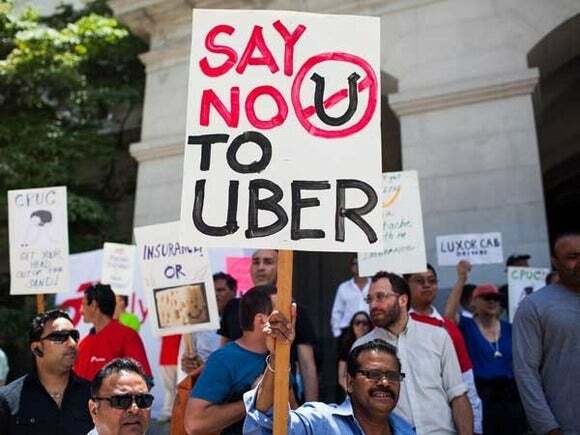 The move follows an ultimatum of legal action to both companies in September by the DAs, who claimed Uber and Lyft violated California business laws and deceived customers around driver background checks. A major concern is that the companies’ driver background checks don’t go far enough, aren’t as thorough as the companies claim and don’t screen out drivers who have committed criminal offenses. Uber and Lyft perform regular background checks, but by California law they can’t exclude drivers if they were convicted of a felony more than seven years ago. Uber couldn’t immediately be reached for comment, but at the time the DAs’ letters were sent it called the claims false. “The district attorneys have made numerous inaccurate assertions,” an Uber spokeswoman said at the time. “Ridesharing is unequivocally supported by the California legislature, the California Public Utilities Commission, the governor, local jurisdictions across the state and millions of Californians,” she said.